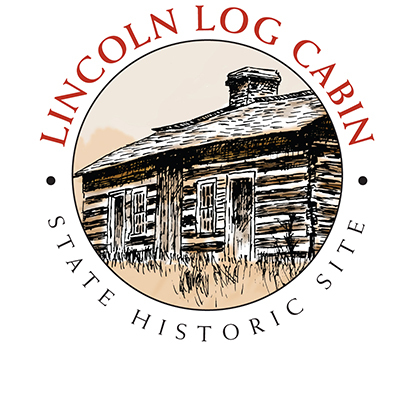 Proceeds benefit the Lincoln Log Cabin Foundation to support educational programming, events, exhibitions, and preservation projects at Lincoln Log Cabin State Historic Site. The run and walk will kick off Harvest Frolic, an annual festival celebrating 19th-century rural life with artisans, musicians, performers, and food. 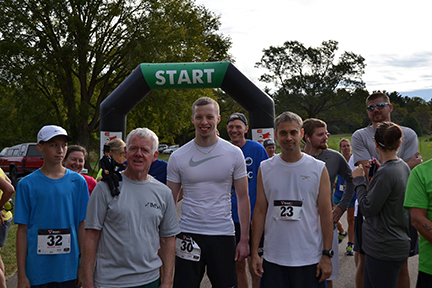 Race and walk begin at 7:30 a.m.
Pre-registrations must be postmarked by September 20. Race day registration from 7:00 a.m. to 7:30 a.m. $15.00 entry fee for both run and walk with pre-registration, $20 day of the race, includes t-shirt. Everyone starts from Pavilion 1 just inside site entrance, plenty of parking. Strollers allowed only on walk, no pets please. Course consists of natural terrain, partial asphalt and gravel trail winding around historic buildings and grounds, accurately measured. Walk will take different path from run, with one section overlapped.